Before, tracking your fitness level used to be done by the book, painstakingly requiring you to note down how much you consumed in a day, the amount of activity you underwent and changes in your weight and heart rate. While noting everything down was a great way of watching yourself progress, the process was filled with potential errors, pitfalls and guilty admissions. Estimating our health was a great way of roughly seeing where our bodies were at but after a point in time, doing so just wasn’t accurate enough. Enter the fitness wearable. Small enough to fit on your wrist and accurate to an individual calore, the technology has changed the health field and now, we can be sure that our daily results are as on point as they could possibly be. But what are the best wearables? There are ton out there to choose from and while each has its own benefits, these ones are sure to point you in the right direction. 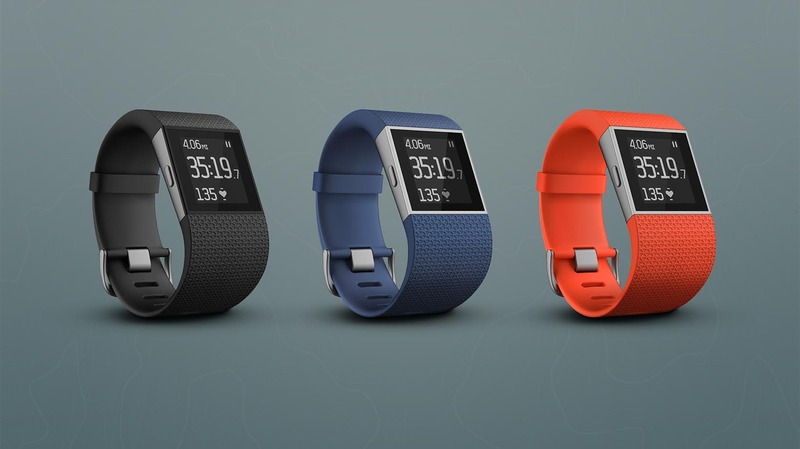 There’s a reason why the FitBit Flex is the best selling fitness wearable online. Featuring a classic calorie counter system, the device is a great tool for those who are trying to monitor their weight loss and lose pounds over a period of time. Not only does it come with calorie counting features but also, it enables you to track the amount of energy you have exerted over the course of a day. Add in the ability to track your sleep and oversee your personal goals and you have a simplistic recipe for success. Jawbone is the fitness brand of everyone’s dreams; with each new release, the company unlocks yet another level of the fitness wearable’s potential, enabling users to track increasingly intricate parts of their daily routine. The Up Move is a wearable cast in the same quality as Jawbone’s other devices; users can track their activities, set movement reminders and log the amount of calories that they burn in a day. While the features are more pared back than other designs, the Up Move’s simplicity is what will really win you over. As well as coming equipped with all of the trappings of a great wearable, the Garmin Vivofit 2 is guaranteed to get you moving, even when you don’t have the motivation. The device comes with audible reminders, great for those who work in a sedentary position and need to move around every now and then. The watch itself boasts a battery life of 1 year, making committing to a healthier lifestyle incredibly achievable. Having formed an impressive fitness empire, Nike really know what they’re talking about when it comes to healthy living and it should come as no shock that their wearable is one of the very best around. The Nike+ Fuelband SE calculates calorie loss by looking at your pace, distance and number of laps when you exercise; the results are as accurate as they come. Team this with its minimalist design and you’re on to a winner. Despite retailing on the cheaper end of the wearable market, the Honor Band Zero really packs a functional punch. As well as tracking your activities and monitoring your energy output, the Honor Band Zero can be wired up to your phone, enabling you to receive new messages and notifications wherever you might be. You can also wear the watch during the night in order to track the quality of your sleep. If you’re looking for something that takes a deeper look into your everyday data, however, you need to check out the Basis Peak. Tracking your daily activity, quality of sleep and heart rate, the fitness wearable provides you with a detailed rundown of your personal health, enabling you to see your progress over time. The wearable can even differentiate between actual movement and small shifts in the wrist, a feature that sets it head and shoulders above many others. Presenting in one of the most sleek casings on the market, the Misfit Shine is the perfect wearable for the minimalist user. Equipped with all of the calorie and activity tracking functions of other devices, the Misfit Shine also enables users to feed in photos of their everyday diet, using the visual information to provide a more complete picture of their health. Available in a whole rainbow of colors, the wearable is one of the most stylish on the market, offering users above and beyond what they need. Coming in with a second entry, Jawbone shows us what it’s really made of with the UP24. Featuring more complex technology than calorie tracker UP MOVE, UP24 can provide a much more intricate picture of your daily activity, gathering information from tiny sensors located in the band. The UP24 comes equipped with your very own “smart coach”, motivating you to make at least one healthy choice per day. Streamlined in design, the wearable is also easy to keep on during the night, and won’t get in the way of your sleep. If you’re really serious about sport, then you need to check out the Fitbit Surge. Featuring high rate tracking systems, exercise route mapping and total health monitoring, the wearable gives you a full and intricate picture of your wellbeing. 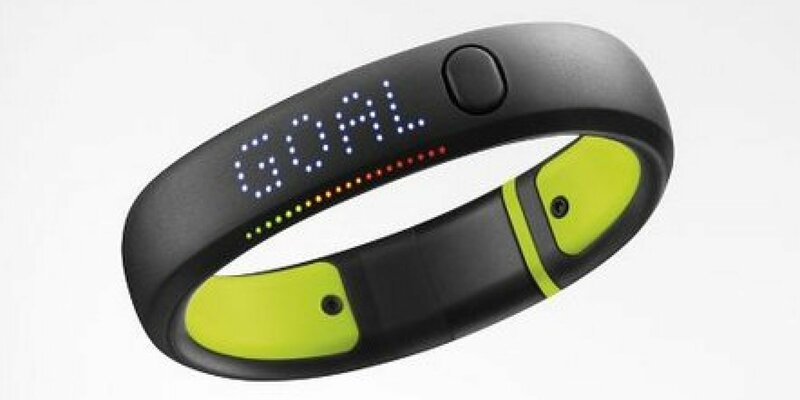 The device will even motivate you to do more during the day, pushing you to reach your best fitness potential. While its name might suggest otherwise, the Polar FT4 Heart Rate Monitor is about more than just tracking your pulse. Complete with calorie counter technology, the device can be linked up to compatible gym equipment in order to accurately track your activity level while you exercise. If you want a really full picture of your health, you can try attaching the heart rate chest strap while you move in order to monitor your level of health and calorific output.